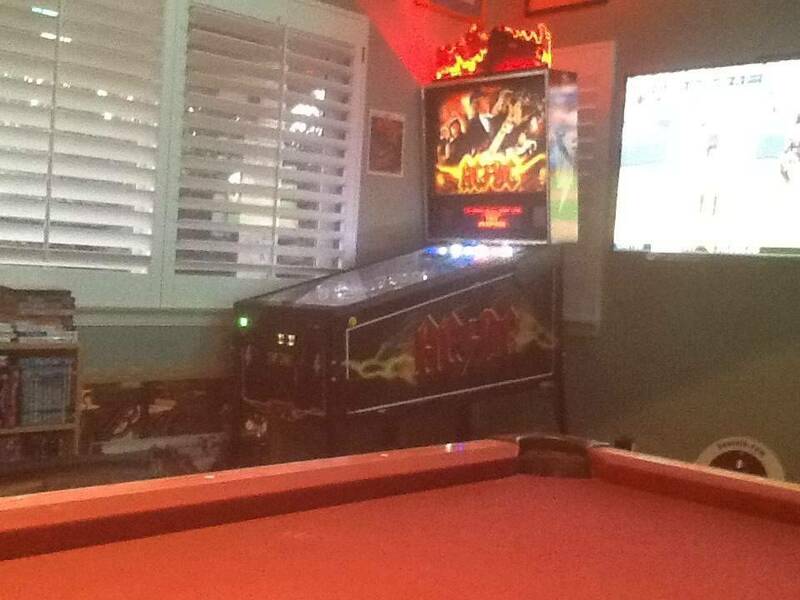 » Forum » All Pinball » All gameroom talk » How close can you put a pool table to your pinball machines? » How close can you put a pool table to your pinball machines? 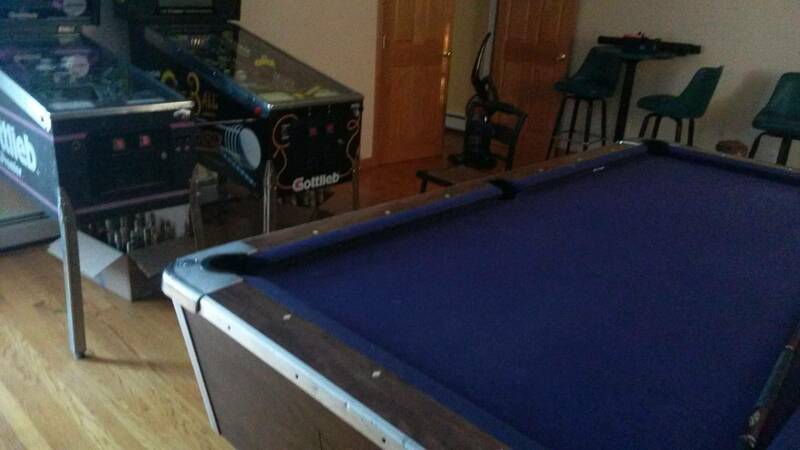 How close can you put a pool table to your pinball machines? What is the minimum distance you need between a pool table and your pinball machines line up (front side)? Do the cues go over the pinball? Can you still make all the shots? I am thinking of going from 14 pins to 5 and add a pool table. Just make sure you can still get the glass off the machine. I measured the length of the glass and added a foot or two to give me some room when I spec'd out my room. As long as you can pull out the glass. Ideally, the length of a cue stick plus the thickness of a [human] body. A lot of shots you have the cue practically level, and a pin is higher than a pool table. Don't count on setting it up where you shoot over the pin, and being happy about it. So want to dump the poll table and add tons more pins. Damn parties , everybody still plays pool. If the height was different you probably would but most shots your cue has an upward tilt. You have a good set up . One word of caution, I have heard stories of flying pool balls and errant cues taking out backglasses. Just keep that in mind when developing your layout and spacing. It likely won't be an issue depending on the era of your games, but accidents do happen especially if kids are around or you start trying trick shots with or without a few beers flowing. I did this. Honestly best thing I ever did. I have mine so that glass will come out with only a few inches to spare. There are a few pool shots that are cramped. Deal with it, pool players! Right, especially on the side you break on. Quoted from Pauz21:If the height was different you probably would but most shots your cue has an upward tilt. You have a good set up . The height is different, and the amount of times the pin will interfere with a shot will be MANY. Diminishes a pool game considerably. 5ft is what I've got and even the tallest person who's played, has no issue on his back swing. Plenty of room to spare, you could probably even do 4ft. My only concern is me, since I'm terrible at pool and often hop balls off the table, but even then I've missed by several feet. They are available in different lengths. I have had a 48" one for over a year and I think it's actually come in to play for that trouble shot one time in the last year. Until I got the trouble shooter, we just had a friendly agreement to move the cue ball to make room. Never been an issue.